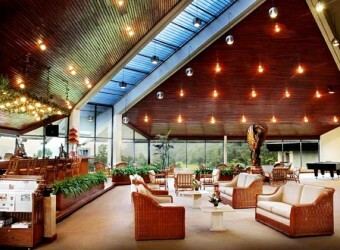 Bali Hotel Handara Kosaido is located in Bedugul, north highland resort, and known as the famous golf course. The resort is surrounded by lush green mountains, crater lakes and an equatorial rain forest. There are 3 types of room, Garden View Cottage, Golf View Bungalow and Gold View Villa.